If you’re familiar with WordPress, then chances are you’ve also heard of Gutenberg. This editor is the newest addition to the WordPress platform, and as such, it has quickly become a hot topic in the world of WordPress. Gutenberg’s arrival received mixed opinions from users. Some love it, while others would rather use the good old classic editor over Gutenberg any day. We’ve decided to tackle this topic head-on and tell you all you need to know about the new Gutenberg editor. We’ll discuss its pros and cons, as well as what you can expect from it in the future. So, without further ado, let’s get down to the nitty-gritty of it all. 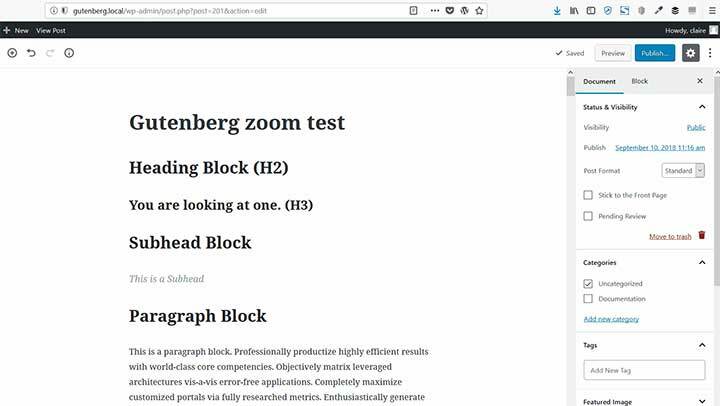 Gutenberg is the new WordPress editor that first became available with the 5.0 WordPress release. Named after Johannes Gutenberg, the inventor of the movable-type printing press, this new editor was made with the intention of enhancing WordPress users’ overall blogging experience. The entire editing process in Gutenberg has been reconstructed and adjusted for creating media-rich posts and pages in a simple way. Aside from the purpose of simplifying the content creation process, Gutenberg was also introduced because many people craved change when it came to the WordPress editing experience. 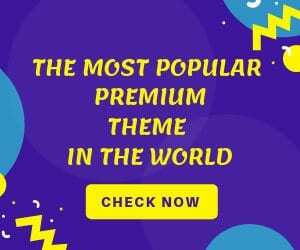 So, driven by this urge to revolutionize the WordPress editing system, and partly inspired by the drag-and-drop functionalities of various popular page builders, the WordPress developers came up with the block-based Gutenberg editor. How Does it Differ From the Classic Editor? Right from the start, it is apparent that Gutenberg is vastly different from the classic editor. Whereas the classic editor’s formatting system resembled that of Microsoft Word, Gutenberg operates by using movable blocks. Essentially, these blocks are the tools that will help you build your content in a more visually appealing way. What’s characteristic for Gutenberg is that any element can be a block, and each block comes with its own set of fully customizable options. The core blocks are image and text blocks, but Gutenberg also comes with blocks for creating buttons, embedding videos, and even adding tables and widgets. Adding a block in Gutenberg is easy – all you need to do is click the button with the plus (+) sign, located both in the top bar and within the actual workspace. Then simply choose the type of block you need and start creating your page or post. If you click on the gear icon in the top right corner of your screen, you’ll open a sidebar with all the available settings. There are two tabs in this sidebar – Document and Block. The Document tab is where you’ll find all the classic settings for publishing your content, such as categories, tags, permalink, featured image, etc., while the Block tab lets you customize the specific block you’re working on at that moment. The first thing that stands out when you open Gutenberg is the amount of available writing space, which is especially beneficial for those who write on smaller screens. It seems the developers wanted to put writing at the forefront and create a more writing-friendly environment for their users. You can get even more writing space if you hide the sidebar on the right. To do this, just click the “x” icon. As we already mentioned above, the new editor has a built-in block system that allows you to organize your content in any way you like. Perhaps the best thing about it is that you don’t need to know or use any additional coding to stylize your content. In Gutenberg, everything can be done with a simple drag-and-drop. Aside from the visual aspect, the new block feature also offers far more functionality than the old editor does. For example, if you want to add an image gallery, a contact form, or a column in the classic editor, you would have to insert some HTML code or install some type of third-party plugin. Now, all this can be done by just choosing the appropriate block for that particular type of element. In other words, using Gutenberg can help you cut down the number of plugins you’d otherwise have to install to get all these useful features. Another practical functionality that comes with Gutenberg is the Content Structure option located in the upper left corner of the editor. By clicking on the button with a small info sign, you will get an overview of your document outline, the number of blocks in your page or post, the number of headings, paragraphs, and so on. This option also allows you to jump to various sections of your page or article with ease, which can especially prove useful if your content is long. As is usually the case with new components that get added to an already-existing system, Gutenberg does have some shortcomings. There is a considerable number of users that have come forward and expressed their complaints regarding the new editor. Namely, even though Gutenberg is supposed to be user-friendly for beginners, many new and old WordPress users alike find it confusing to work with. Moreover, some are irritated by the fact that every piece of content that resides within one block can have only one style. Another pressing (possibly even the most important) concern is backward compatibility. Considering the vast number of themes and plugins available, many of which rely on TinyMCE integration, the introduction of Gutenberg will probably mean extra work for developers. In other words, all plugins and themes will have to be updated to ensure that they work properly with Gutenberg. Even though there are those that would much rather have this editor be optional, Gutenberg has become the default WordPress editor as of version 5.0. If you are among those who are not so pleased with what Gutenberg has to offer and prefer to continue working in the classic editor, you can still switch back (for now) by using the Classic Editor Plugin. This plugin will be available at least until 2022. Still, you should keep in mind that many plugins and themes are already being created and altered to work hand in hand with Gutenberg. Therefore, it can be useful to at least learn the principles of how the new editor works since there’s no choice but to accept it in the future. 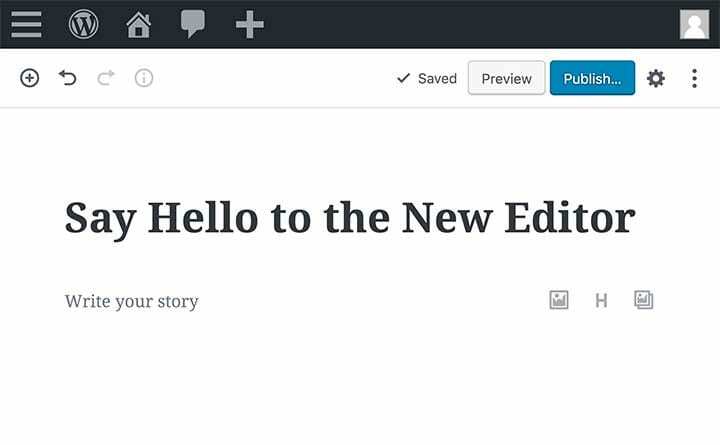 On the bright side, the fact that Gutenberg has become the default editor means it will undoubtedly improve with time. We already know that the WordPress 5.2 release will bring some innovations to Gutenberg. The most prominent among these additions is the brand new Block Manager modal. The Block Manager will let users enable or disable certain blocks, thus reducing the clutter in the available block collections. Another improvement we can look forward to is the possibility of nesting different blocks inside a Cover Block container. This is particularly useful if you want to add a heading or a call to action to your Cover Block. 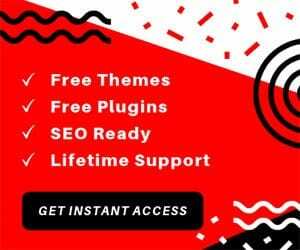 Overall, Gutenberg is a cutting-edge WordPress editor that has introduced a completely new way of creating content via blocks. While many have embraced the new editor with open arms, there are also those who aren’t too impressed with what it has to offer so far. Since Gutenberg is still relatively new, a period of trial and error is unavoidable. Furthermore, plenty of old users who are used to the classic editor will need time to adjust to the inner workings of the Gutenberg system. But while every change is difficult, it is necessary to move forward. As of now, it is indisputable that Gutenberg is the future of the WordPress platform. What that future holds for user experience remains to be seen. For now, we think Gutenberg deserves a fair shot, as it has shown a lot of potential for further improvement.